WASHINGTON DC – Kyadondo East Member of Parliament, Robert Kyagulanyi aka Bobi Wine will on Wednesday, September 12, appear on Voice of America’s popular talk-show, Straight Talk Africa. Bobi Wine will discuss the current political climate in Uganda including his arrest together with 33 others on August 13 in Arua, and his subsequent detention and alleged torture at the hands of Ugandan military led by the presidential guard — the Special Forces Command (SFC). In a statement shared on his official social media, Bobi Wine confirmed the invitation by Voice of America. “This Wednesday, 12th September we shall be hosted on the VOA Straight Talk Africa programme with Shaka Sali, 18:30 to 19:30 UTC. Tune in. Let’s discuss Uganda and chat about Africa,” the youthful MP posted. The MP will speak at 9:30- 10:30 pm Ugandan time in a show that will also telecast live on a local NBS Television. Bobi will also hold a brief conversation with Ugandans and well-wishers in a town hall meeting in Washington DC on Saturday 15 at 12:30 pm to 2:30 pm at the Greenbelt Library 11 Crescent Road, Greenbelt MD 20770. The legislator will on Sunday 16 have prayers with the Ugandan community and well-wishers in Boston at the St. Mary’s Parish, Waltham Massachusetts, and 133 School Street. “The mass will begin at 1:00 pm,” he said. An outspoken critic of Mr Museveni, Bobi Wine is currently in the United States undergoing specialized medical treatment. 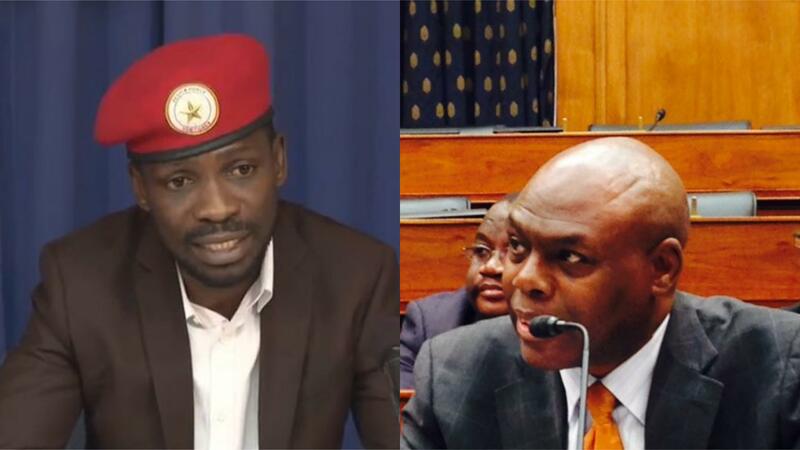 He also held a press conference last week in Washington DC launching a hectic round of congressional and diplomatic meetings to escalate pressure on President Museveni and government officials involved in torture. Authorities including the Army Chief of Defence Forces (CDF) Gen David Muhoozi and the president have steadfastly denied that Bobi Wine was tortured while in custody. Bobi Wine was granted bail and 32 others opposition MPs over their alleged role in the stoning of President Museveni’s motorcade. The state dropped earlier illegal weapons charge against him; however, Bobi Wine now faces a treason charge that could carry the death penalty. Bobi Wine has captivated the attention of youth in the country, many of whom say they feel excluded and alienated by the nation’s current political establishment.